To pull in those who do not wish to devote their entire « available brain time » to ubiquitous television, societal museums must continually strive to renew themselves. In short, they must enhance their role as the holders and sharers of history and knowledge in order to convince a public that does not necessarily concur. The life of a museum revolves around times for collecting and times for public exhibits. But the balance between these two aspects and their respective roles are constantly undergoing change, redefined by the functions of museums that are themselves evolving. To the point that the collections have today undoubtedly lost their fundamental role. The Alps are home to hundreds of museums focusing on humans and their activities. Their geographic location often determined the attitudes governing their creation and evolution. Entrusted with the task of saving the history of their regions, they have each developed their individual identity, ranging from folkloric kitsch to striking innovation. A panorama. What types of museums are required for which publics tomorrow ? When asked this question, ten museums in five countries in the Alps provided very different answers. But from Slovenia to the Riviera, they are all thinking hard about their roles as cultural mediators and the changes in their relations with society and the visiting public. Carte blanche for Sébastien Secchi in preparing this portfolio on what goes on behind the scenes in museums. He was free to poke into every nook and cranny of three European museums centring on humans and the Alps, the Musée Savoisien in Chambéry, the Musée d’Ethnographie in Geneva and the Slovenian Ethnographic Museum in Ljubljana. Centennial in 2006 and still going strong, the Musée dauphinois in Grenoble has never deviated from the policy that Hippolyte Müller, the founder, firmly established. Above all a societal museum, it consistently strives to renew dialogue between all members of society and takes care to ensure that all parts of Alpine society are represented. 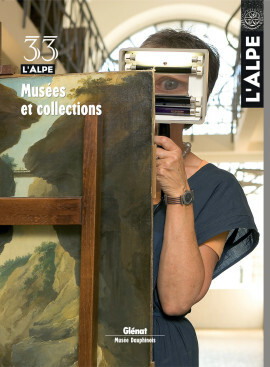 The original approach adopted by the museums of the Valais canton, in Sion, consists of revealing the work behind the scenes. A new, four-part program presents the more mysterious aspects of the museums, the daily work and the people who prepare the exhibits. A form of cultural mediation that raises a number of interesting questions. Queen and mother of the Incas, the Andes lie at the heart of their mythology as the incarnation of the forbidden fruit and the difficult path to sacredness. After resisting the repeated ascension attempts by Jesuits, the Incan mounts remain a privileged place to touch the gods. Henriette d’Angeville was the second woman to climb Mont Blanc in 1838. Twenty-five years later and at almost 70, she took on the Oldenhorn in Switzerland. Her diary, long forgotten, portrays the many events and, above all, the deliciously old-fashioned flavour of her highly picturesque climb.